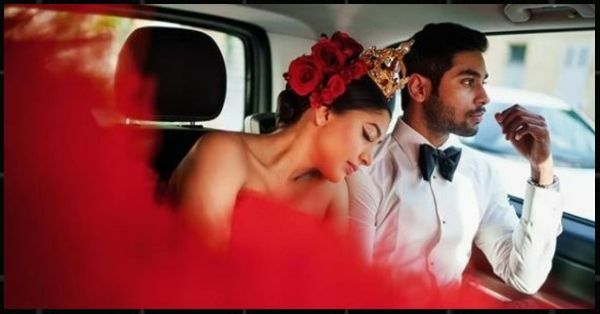 Heiress Shriya Bhupal’s Wedding Is The Grand Fairytale Ending We All Want! The big, fat Indian wedding is always a grand celebration with no expense spared. It's all about luxury, having a great time with friends and family and love. And while we have seen many of these wedding extravaganzas, we haven't actually seen anything like this before. We're talking a proper regal party and every bit a perfect fairytale. 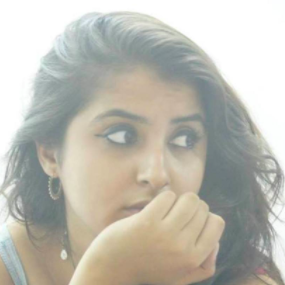 We would like to introduce to you Shriya Bhupal, the bride-to-be. She is a designer and the founder of the fashion brand Shriya Som and also the grand-daughter of businessman GVK Reddy. She is tying the knot with Anindith Reddy who is the grandson of Apollo hospitals chairman Pratap C Reddy. So the prince and princess do really live happily ever after! Even her pre-wedding function was everything glam and oh-so-gorgeous. It was held at the monumentous Château de Chantilly in Paris and the photos do all the talking. So it's obvious that the wedding will be everything majestic and magnificent. Spilling the deets of her big day to a leading magazine, Shriya said, "We are starting off the wedding festivities with a small traditional ceremony at home on July 2 with my immediate family members and close friends. Our main events start from July 4: brunch at home, followed by a soirée the next day, the wedding on July 6 and the reception thereafter at the Taj Falaknuma Palace." That royal portrait. Shriya and Anindith, Chantilly 2018. Shot by @josephradhik As wedding photographers, we are used to making extraordinary images in the ordinary, but this was an occasion where everything was extraordinary. From the venue to the styling to the light to @namratasoni's skills. And yeah @shriyabhupal helped a bit too by being so gorgeous 😁! So here it is, a bridal portrait like no other. #makeportraits #love #bride #indianbride #bigfatindianwedding #weddedwonderland #wedphotoinspiration #instalove #instawedding #sonyalphain #sonya9 PS: this frame wouldn't be possible without @pressy6 spotting the blue hour and helping with the light, thanks man! Also with @sprinkledwords, @harshabathija, @rajmohapatra @ronaldsoubam @mohamedjameer shooting away in the background. And what's a bride without her stunning ensemble?! For her pre-wedding function she wore a red ruffled Giambattista Valli gown. And the designer has put in a lot of thought behind each of her outfits. She said that she wanted to wear a dress that she would "remember forever". She's choosing to wear her own label for the brunch and will change into an orange Ashi Studio gown later. "For the soirée, I've picked an Elie Saab gown from his bridal collection that I fell in love with. The base is an off-shoulder full sleeve bodycon gown, with an overlay of a dramatic skirt. I’m styling it in a boho eclectic way to give it a fun Indian touch," she adds. And to get down and party on the dancefloor she will later lose the skirt and be jiving in a gown. For the D-day she has chosen to go with her favoruite designer Tarun Tahiliani and says that his garments "defines perfection." For the reception she will be in a lilac floral Marchesa gown. The inspiration for the entire wedding has been delicate fabrics, yeah designer I tell you! "Most of the wedding festivities, including my wedding card, are inspired by the intricacies of Chantilly lace," says the gorgeous bride-to-be. She even revealed the secrets to being a fit and fab bride. She's been eating healthy and doing her daily workout of kickboxing and functional training. Ooh! We love us a strong gurl! We wish this regal couple all the happiness and luck for the new chapter in their lives. We're pretty sure the wedding is going to be nothing short of splendid. Can't wait to see the pictures!